PARIS -- France's first public cemetery for Muslims was inaugurated Monday in the city of Strasbourg. Strasbourg Mayor Roland Ries said the cemetery, which has space for about 1,000 graves, demonstrated the continuation of harmonious relations between the different religious communities in the city, as he opened it. 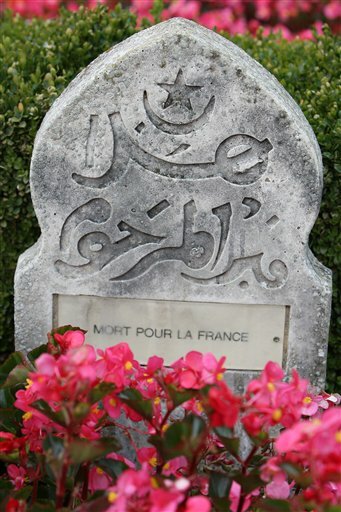 Until now, Muslims in France have buried their dead in specially assigned areas in Christian graveyards, where there is an acute shortage of space. Previously, many Muslims had sent their dead to their home countries to be buried, but the practice is declining due to the expense involved. The Alsace region, of which Strasbourg is the capital, allows the public funding of cemeteries, unlike the rest of the country. The city has paid about $1.05 million toward the graveyard. The dead will have to be buried in coffins, in accordance with French law, rather than simply using shrouds, although talks are planned to see if the law can be relaxed to accommodate Muslim customs.